Darryl Holliday is a Studs Terkel Award-winning journalist, multimedia storyteller and reformed crime reporter. He’s a producer with the Invisible Institute, editorial director of City Bureau and a founder of Illustrated Press, a media production collective covering urban issues with sequential art and traditional reporting. 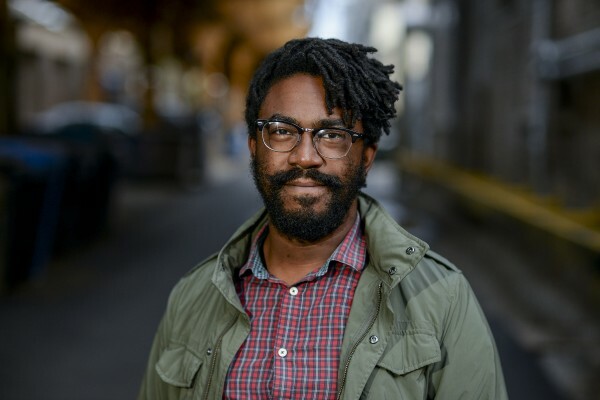 Darryl is the former Logan Square/Humboldt Park reporter for DNAinfo Chicago, and his reporting has been featured in a range of outlets from The Atlantic‘s CityLab to the Chicago Sun-Times. His work with illustrated journalism has been featured in the Museum of Contemporary Art Chicago and the Harold Washington Library, and he’s presented on the impact and growth of innovative approaches to journalism at the Logan Symposium for Investigative reporting and the Online News Association Conference, among others. He’s been the recipient of the Studs Terkel Award, Alfred P. Weisman Award and an “Innovation/Format Buster” Alternative Association of Alternative Newsmedia award for his reporting and work with Illustrated Press. Darryl is interested in street-level reporting and investigation with an emphasis on social justice and art. Follow Darryl Holliday on Twitter @d_holli.